If you’re living in LA and dating a pop diva you might be lucky to get a 2015 X132 Hellcat Speedster for your birthday. Confederate Motorcycles often referred to as the Bentley of Motorcycles has received a lot of attention worldwide. 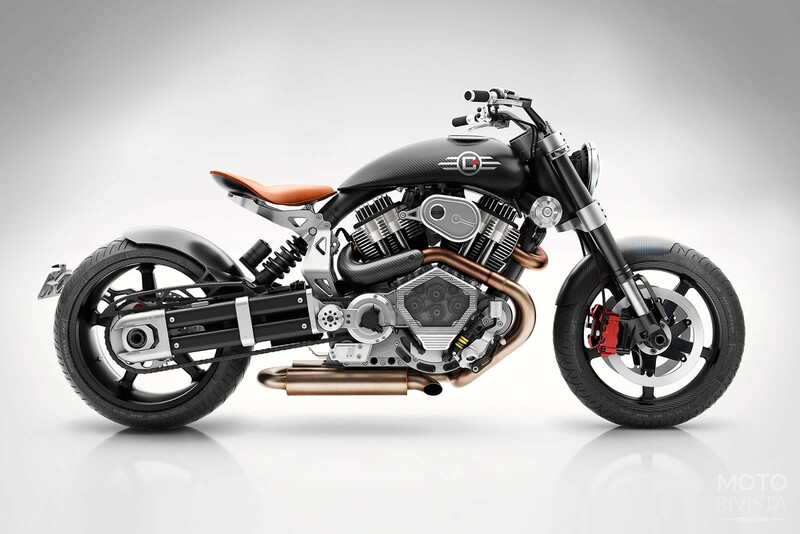 The hand crafted X132 Hellcat Speedster is the latest bike from Confederate’s Hellcat flagship. 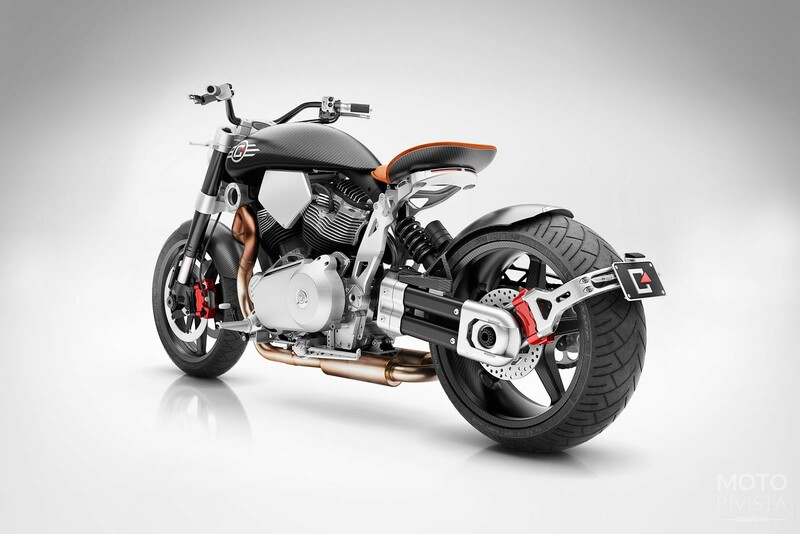 The bike has been redesigned from back to front and seems to be a lot more trimmed down from its previous version. The 2015 X132 Hellcat Speedster is the result of excellent craftsmanship delivered in a powerful way. 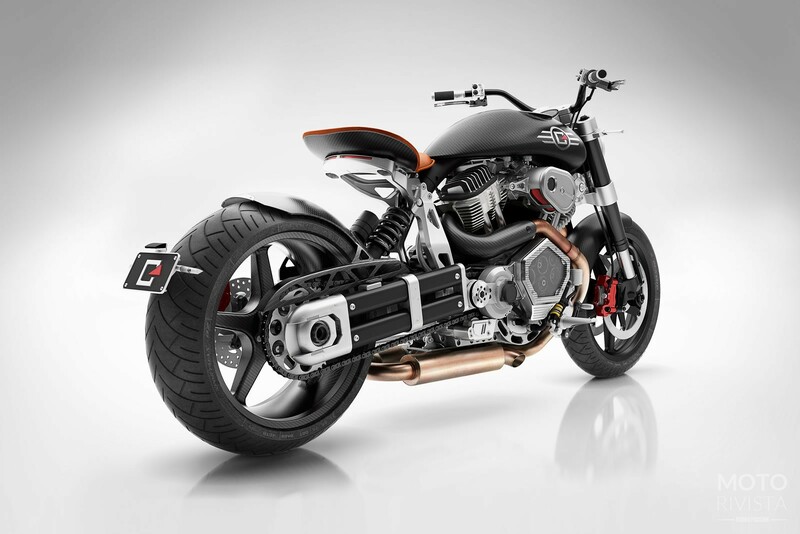 Based on the American drag race architecture the new Hellcat Speedster progresses that architecture with high-class performance, reliability, ergonomics and quality. The highlight of the X132 Hellcat Speedster is the carbon fiber and the 6061 aircraft grade billet aluminum. The redesigned billet aluminum case features America’s best V-Twin technology and superior powertrain technology and 5-speed drag racing transmission. The suspension features a 48mm adjustable front fork while the rear houses a custom center mounted adjustable suspension. The fenders are made out of carbon fiber. The fuel cell is proprietary Confederate design, handmade one-piece seamless construction and can take up to 3 gallons of fuel. The 18-inch front and rear wheels are wrapped in Metzeler ME 880 Marathon tires. The superior breaking system features Dual Beringer 4 Piston AEROTEC Radial Calipers and Dual Beringer AEROTEC floating Ductile Iron Rotors. The rear also includes Dual Beringer 4 Piston AEROTEC Radial Calipers and crossed drilled Brembo Stainless steel rotors. The dashboard features Motogadget Precision Analog Tachometer with Digital Speed & Status. The lighting includes 7-inch round LED headlamp, LED tail lamp and Rizoma Graffio LEF front and rear turn signals. 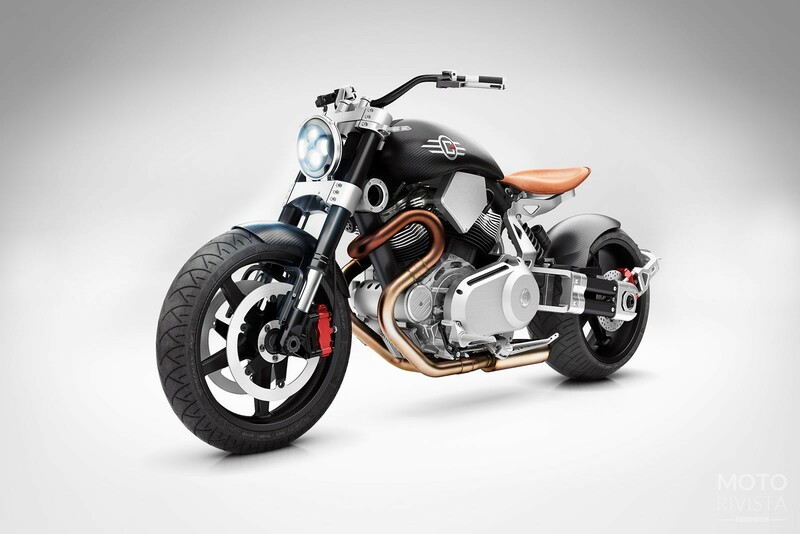 The price tag for this X132 Hellcat Speedster is $65,000 USD, limited to 65 bikes. Reservations are now being taken with a $10,000 USD deposit required. 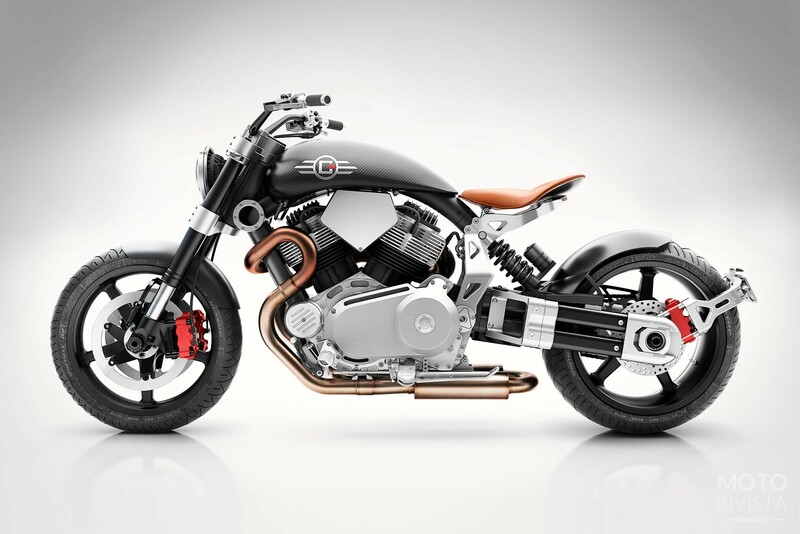 For more information visit Confederate Motorcycles. 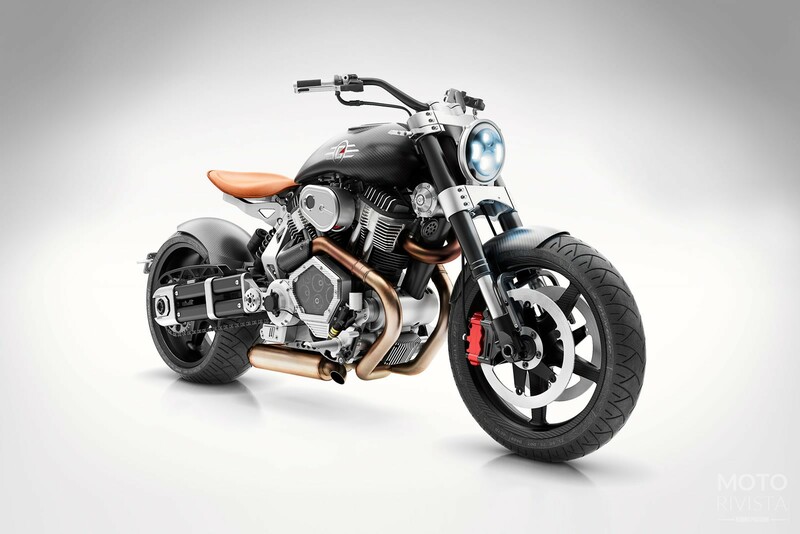 The X132 Hellcat Speedster produces 121 horsepower, the riding position of X132 Hellcat Speedster is Classic American style. A premium solo Tractor-style leather saddle brings the best comfort for it’s rider, whilst the Classic swept handlebars and forward foot controls allows for the ultimate cruising experience.